Once again I was on hand for the annual CCFA Luncheon. The goal is to raise awareness and money in the hopes of finding a cure for this challenging disease. 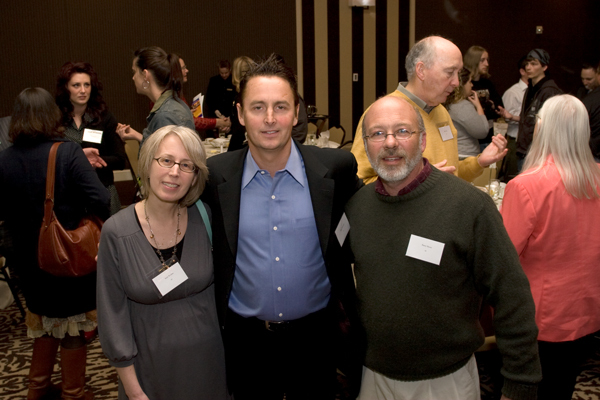 As usual Mike McCready of Pearl Jam was on hand. Here he is with my sister and Barry from Boston! Got tickets for the Pearl Jam concert in Boston?? Over 1500 firefighters and 5000 civilians climbed to the top of the Columbia Tower this year and raised an amazing $1.5 million plus for The Leukemia & Lymphoma Society. I am honored to have been witness and official photographer for their annual awards ceremony this year. Held at the Columbia Tower Club we got to meet courageous firefighters as well as those fighting to cure Leukemia whether it be for themselves, a loved one, a friend or just because. One of my favorite people was 83 year old Anders Jacobsen whose time to the top was a mere 21:19! I’m lucky if I can walk around the block in 20 minutes. 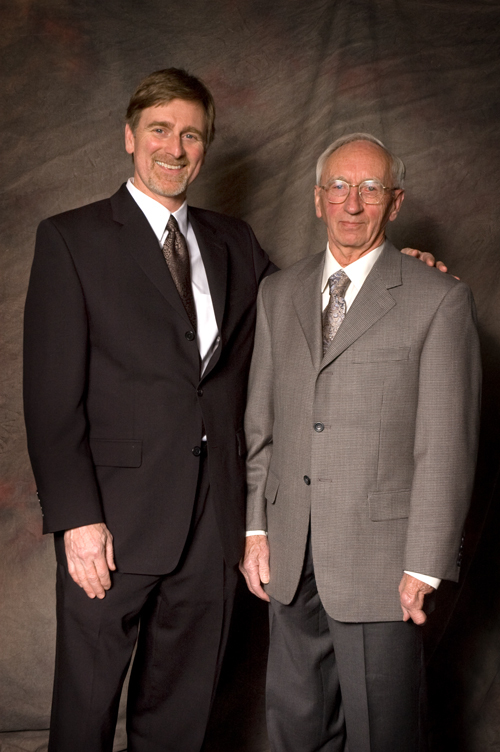 He is pictured here with his son who came to celebrate with him. 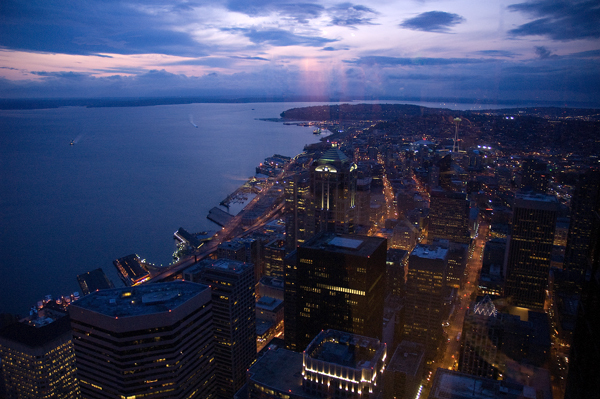 And of course, we all had spectacular views…. 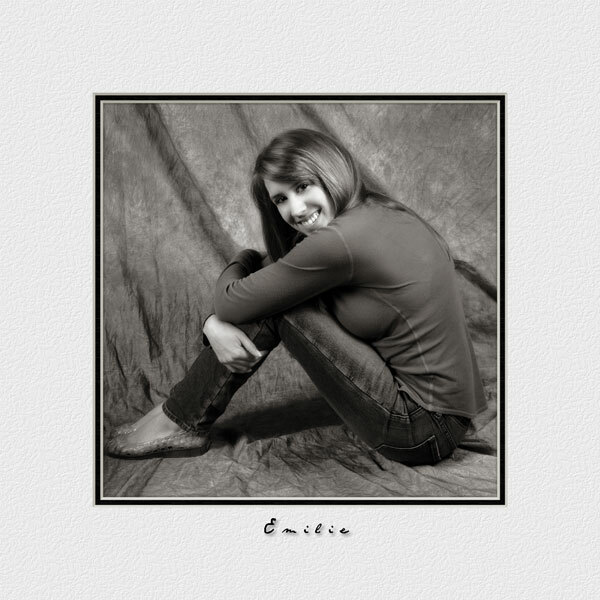 Seniors are fun to photograph, especially when they are as cute as Emilie. She had no clue what to expect and the two of us worked well together creating some rather nice images for her family and friends. 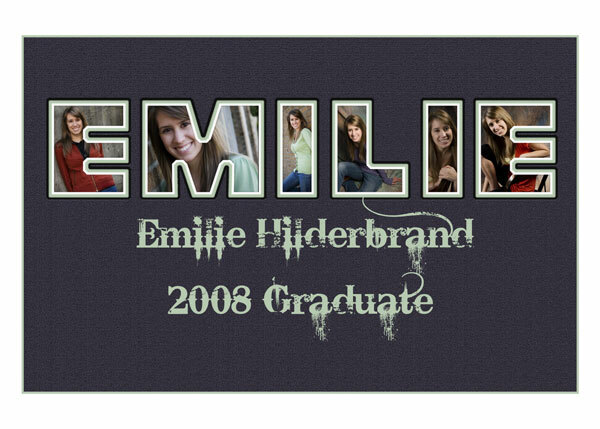 I created the ‘announcement’ above that can be customized with any sort of message she might want. These are perfect to send to family commemorating the big event! Below is a a ‘matted’ image of Emily in black and white. Color, sepia, black and white, you name it, we can create it! Yes, I know it’s April but it feels like winter! 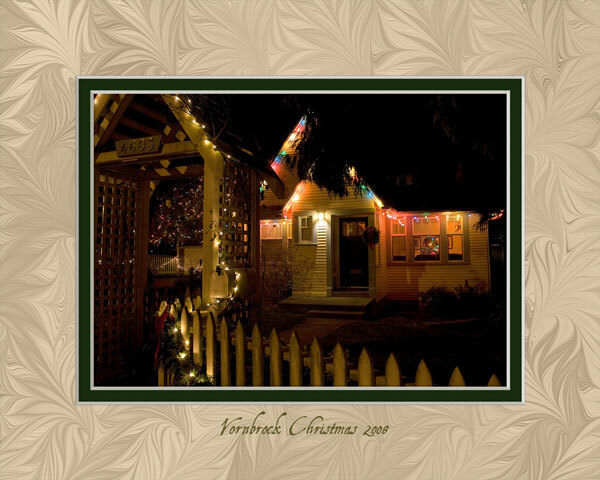 I photographed the Vornbrock house and just now created a nice little memento of the holiday season for them. The house looked charming, don’t ya think!? 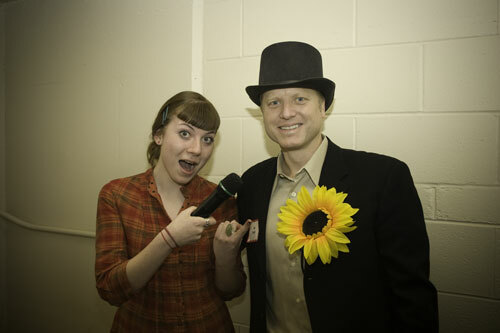 Jim Dever and Ariel ham it up at the Fauntleroy Children’s Center 2008 Auction. Gail Ann was represented well by associate photographers Katherine and Ariel. Once again we offered photo sessions with proceeds going to the school! Congrats to those of you who purchased a session. We look forward to working with you soon! We are happy to email you a file – just ask! Where had Murray gone? Where indeed. Only now can the story be revealed. 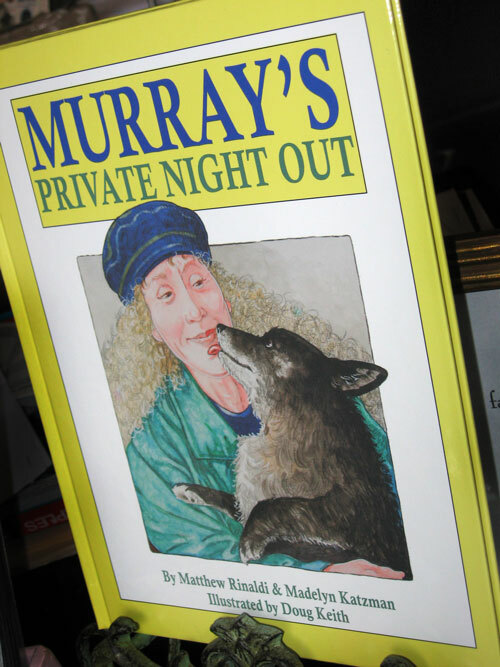 Murray, a corgi of noble lineage, mysteriously disappears from home when he is summoned by the queen to end an age-old feud between the Pembroke (Welsh) and Cardigan Corgis. Dog lovers and children of all ages will delight in this Corgi adventure. Murray was a friend of mine. In honor of his memory his ‘mom’, friends and associates created this homage to the furry friend. My sister and I assisted in the production and publishing of this wondeful book! Illustrated by award-winning Seattle artist Doug Keith. To get your very own copy send us an email or stop by the studio! It was a pleasure working with Rebecca on her real estate ‘image’. These images will be used for her marketing pieces. Her daughter was along so I suggested we include her in a few images also. Cute!